Easy Way - Hypnosis Mp3 to Help You Stop Smoking! Do the cravings make you crazy? Are you scared to try the new drugs to quit? Ready to quit for good- no cravings, no withdrawals and no weight gain? Your health is important. 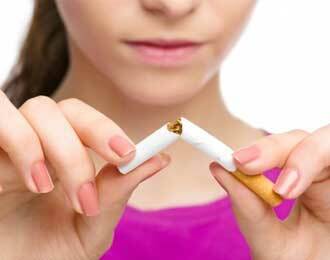 If you feel ready to quit smoking but can’t seem to break the addiction then Easy Way to Quit Smoking is for you. Using the power of hypnosis, this 3 part series will help you retrain your brain and develop the skills you need to stop smoking and stay smoke free! As a former smoker, I understand how powerful the cravings can be and the fear of failing at quitting. I also know how good it feels to finally be free of this addiction- Let me help you get there! With Our Easy Way program – You get three MP3 recordings. The first session is designed to be completed at night. As you move through the session you’ll begin to see that the changes you are making are made with ease and you will wake up feeling confident and in control. The second session will boost your confidence and help you stay strong as you go through the upsand downs of your everyday life. The third session focuses on exercise and movement as a way to continue to improve your health.These sessions will give you the power to quit smoking forever!